On Friday I had an awakening of sorts. I was dabbling with my mini-skeins. (I still order them regularly even though I hadn’t made a puff in MONTHS because you just never know!) I was trying to figure out what to do with them all and mentioned my thoughts to a friend. She asked me how my great hexipuff project was coming along and I informed her (and myself in a way), that it had been MONTHS since I had last made a puff. I admit, I did the one thing that I told myself I wasn’t going to do. I got bogged down with concerns of how to arrange them. Now, this seems like an unlikely thing to completely derail a project, but let me tell you that this has been the undoing of many of my projects. And what’s more, this is one of the cardinal rules I set out for myself when I started this project. Oh well, nowhere to go from except up and over this MONTHS long hill I found myself stuck on. To that end, I cast on a hexipuff, as evidenced in the picture above, and will finish it today and finally update my hexipuff journal! Instead of trying to find the name of each colorway, I’m going to just give descriptions of each colorway because I ended up spending way too much time trying to hunt down the name of certain colorways. In the greater scheme of 1,000+ puff sewn together, it doesn’t really matter. Glad to be back here (and on Ravelry) where I had taken a 2 year hiatus. It’s good to be back. I’m still chugging along on my Beekeepers quilt project! I set up my weekly Hexipuff review to be published last week, but apparently it didn’t go through so here are the last 2 weeks of hexipuffs! I am so close to 150! I spent the past couple weeks continuing to work my way through my first pack of Black Trillium Fibres gradient kit. I finished all of the first and second colors. It’s amazing, I was able to get 12 puffs out of each skein. So that is 60 puffs a pack! What a deal! I see more of those kits in my future for sure. With the arrival of my darling little sir, it has become quite apparent to me that I will not be able to keep up with the daily posts that featured each puff individually. I haven’t highlighted a single puff in quite a while anyway, but I do plan to retroactively feature the weekly puffs that have not been featured. Stay tuned to those later on this week! For now though, I will focus on this past week’s beekeeper’s quilt efforts and show you the beautiful yarns I worked with this week! What do I have in mind for this yarn? A plan for a layout! I have spent quite a bit time searching through pictures of hexagon quilts for inspiration and finally one struck my fancy. After seeing it, I just knew that I needed to request a custom order of the graffiti yarn because it would tie everything together! 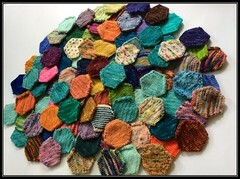 I stumbled across Kelly Girl Quilt’s blog and found pictures of her amazing hexie quilt. Talk about serious inspiration! 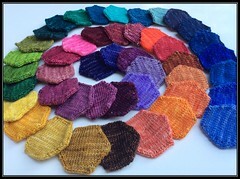 Here is the link to her blog about the hexie quilt, from start to finish. I think what I love most about it is the contrast between the diamonds and the monochrome border. I mean seriously, how cool is this?? I have quite a ways to go before I will even have enough of any color to begin constructing a diamond and I still need to decide if I want to do some sort of gradient thing with each diamond. Lots of time to think about it because I’ll likely need somewhere between 1500-2000 hexipuffs to make a decent sized quilt! It’s been a busy few weeks with the new baby and all! My last post was on July 14th and as expected, many things have changed in my life! Sir W made his debut in the very early morning on July 24th. He is absolutely adorable and Miss E is smitten with her little brother. I thought I would have no time at all to knit anymore, but I find moments here and there and have sort of managed to knit a hexipuff a day. I feel like I am much more efficient with my time now that I have 2 kids. If I’m lucky, I get an hour of joint naptime when I can sit down and enjoy a cup of tea while knitting a bit. Now, on to the knitting talk! I finished my 100th hexipuff the day before he was born (yay!) go team! That means I hit a major goal so there is more yarn in my future! More on that for my Monday Yarn musings! 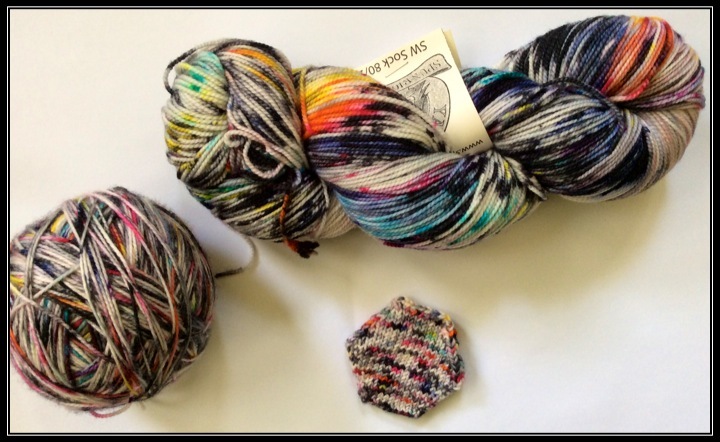 My July mini-skein collection from Chiagu arrived on Saturday – yay! As usual, the colors are gorgeous. Definitely a much more muted palette than in previous months and as always, quite nice. What I love about Koigu is at first glance, the skein can appear mostly gray, but a closer inspection reveals other pops of color here and there. I love it. Here is a picture of the latest additions. I am still working my way through my current collection of mini-skeins from Three Fates Yarn, but on Saturday while looking through other hexipuff pictures on Instagram, I discovered another amazing monthly yarn subscriptions of various types, but one of the subscriptions in mini-skeins. (squeeeeee!). The company is called KnitCrate. I immediately had out my credit card, all ready to sign up. But be proud of me because I exercised some control and talked myself down. The fact that I had literally JUST left Etsy where I had purchased several lovely half skeins of a delightfully colored yarn (more on those to come…), was one of the main reasons I stopped. That and I am already a part of the Koigu monthly club by Chiagu! So I really need to think about what I would like to do. One thing is for sure. I need to knit my way through my current stash before I can even begin to justify to Mr. KnittyKitty why I NEED to be a part of both monthly clubs. And I can’t forget all of the awesome yarns I previously mentioned wanting before. That, and I need to demonstrate to myself that I have the dedication to stick with this project and get it done! Joining this club might be something to entertain around Christmas time and I will only do so then if I have knit to at least 200 hexipuffs! Better get these needles going and figure out a good system once Sir W arrives! Let’s talk about joining these hexipuffs together! I mentioned earlier that I had purchased some yarns from Etsy today. The seller is SpunRightRound and she offers a gorgeous variegated yarn called ‘graffiti.’ The colors are primarily neutral with splashes of just about every color of the rainbow and black. 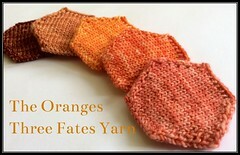 It appears that it could be the perfect yarn to serve as the joining yarn to the puffs and a great way to separate the difference color sections. (I have been toying around with the layout in my mind and keep seeing a neutralish yarn breaking up the huge color blocks of like colors). My thought was that if I knit hexipuffs from this graffiti yarn with all of these colors, then it would nicely compliment both the more solid colored puffs next to it and not be too jarring when looked at in contrast to the other sections. SpunRightRought was offering basically half skeins of this yarn so I picked up 3 of those at 230 yards a piece. I did sort of break my rule with this yarn as it is 75/25 superwash merino to nylon, but the yarn is too potentially perfect to pass up. And the hexipuff knitting continues! Well, I have officially gone MIA from my blog for a while, but I also lost my knitting mojo for a few weeks there too. 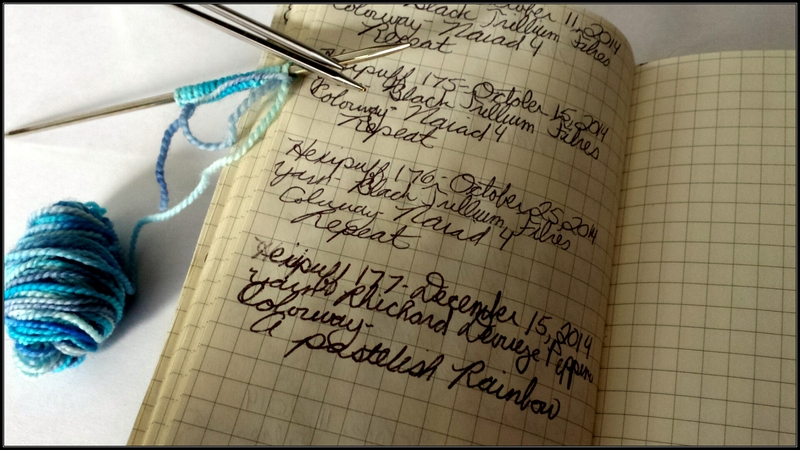 It was a rather sad time for my knitting, blog, and project photos. But all of those energies were directed into finished the nursery and making it just perfect before Sir W’s arrival. My nesting got the best of me, what can I say, hehe? I’m back to the hexipuffs now though with renewed energy, at least until the baby is born, which is supposed to be within the next 8 days! 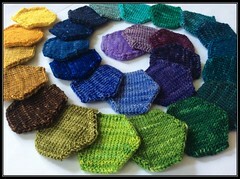 I slogged my way through June an only managed to knit 21 hexipuffs. That was actually a lot more than I thought I had knit, but still short of my hope for at least one a day. I never even took a picture of all of them together! Oye. The majority of the hexipuffs were from the Three Fates Yarn minis rainbow collection, so I did the next best thing and took a photo of my progress so far with those. I initially decided to work backwards through the rainbow so I’m finished with the purples, blues, blue-greens, greens, and yellows. See my progress picture above! I’ve gotten a bit crazy and have been knitting 2-3 hexipuffs per day the last few days. I am determined to make July a more productive month – haha, probably a pipe dream, but a girl’s got to dream! Anyways, I’m onto the orange minis now – can’t wait to see what the completed set look like!